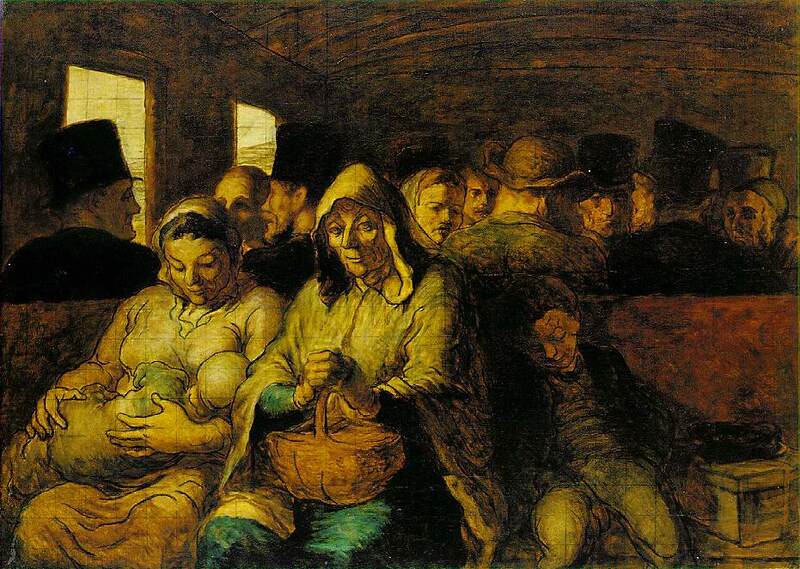 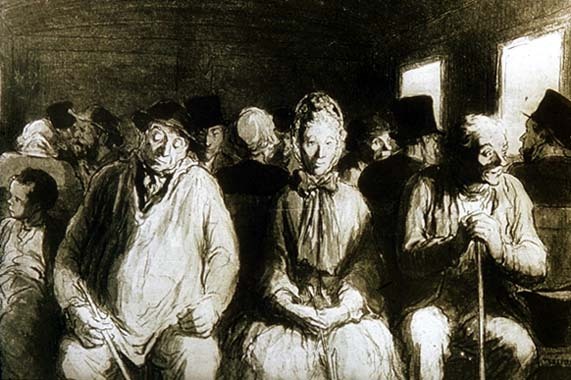 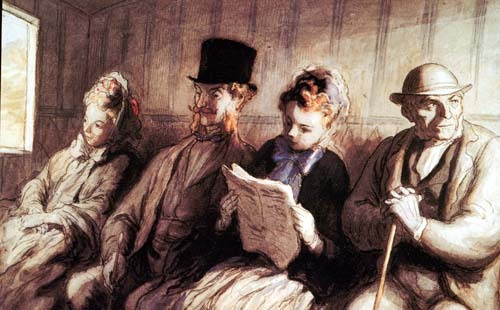 Despite serving time in prison for the content of his political cartoons, Daumier continued to criticize the French government. 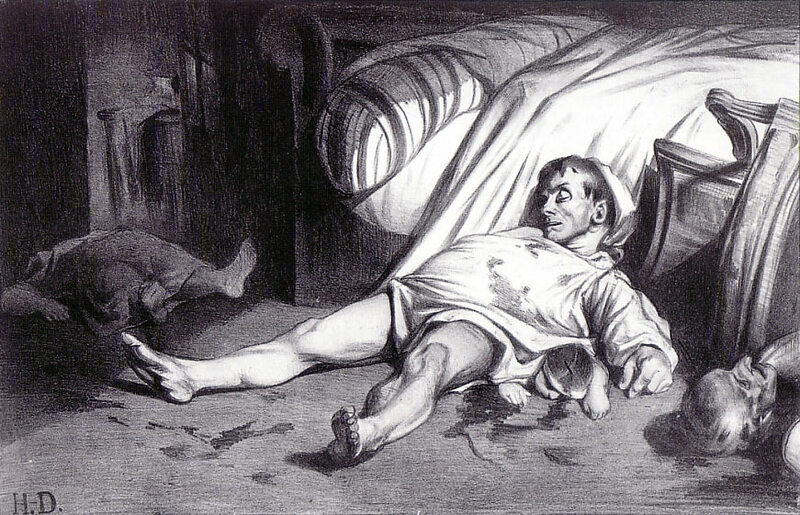 For instance, when twelve Parisians were killed in a raid by government infantrymen because they had shown support for an uprising in another important French city, Daumier represented the massacre in the illustration Rue Transnonain(1834). 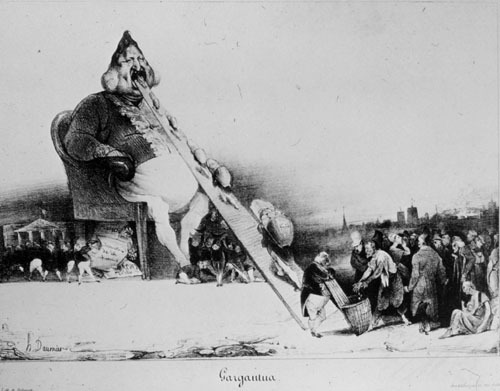 Unlike Gargantua, there is a total absence of caricature. 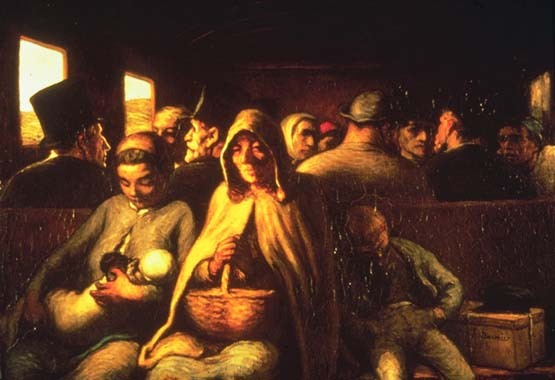 Instead, the victims are portrayed with realism.Daumier's Rue Transnonain is also important because the central dead adult has been appropriated from Delacroix's earlier revolutionary image Liberty Leading the People (1830). 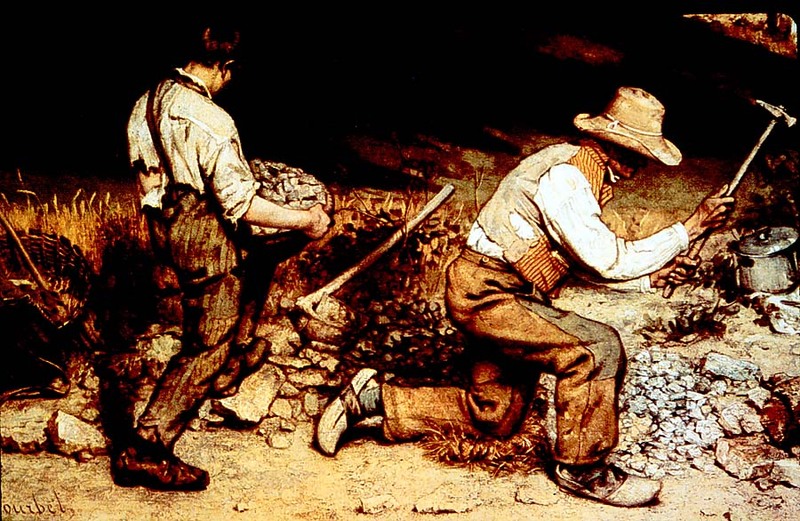 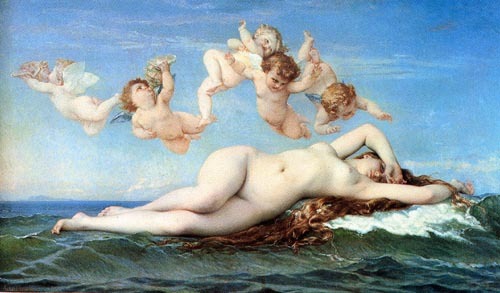 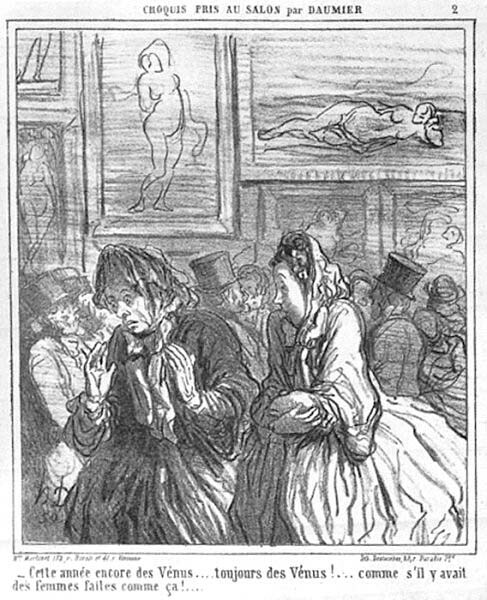 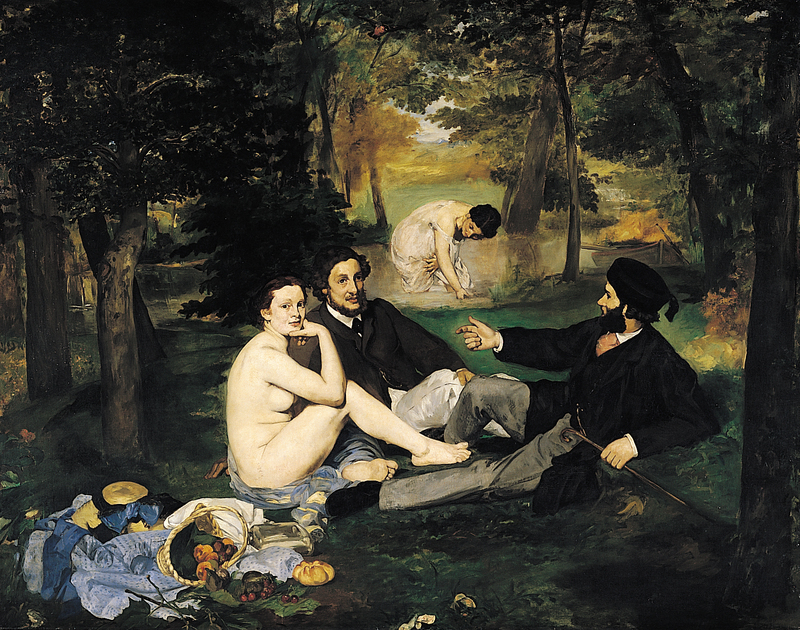 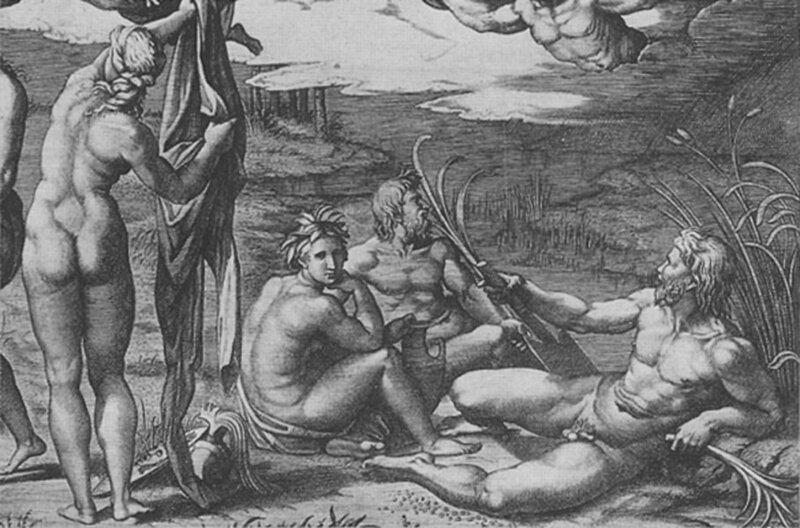 More than likely, a contemporary French audience would have noticed how the prostrate figure in Daumier's image is placed in a similar pose to that of Delacroix's dead man in the right foreground below the allegorical figure.